D.L. Kline, an ordinary Pennsylvania man who discovers his psychic abilities late in life, has a lot in common with the average house cat. Why? Because he has had nine lives - nine fascinating, varied lives that have carried his consciousness through centuries and across continents. With the help of noted psychic/healer Barb Ruhl, an initially skeptic Kline undergoes a series of intense past life regressions. 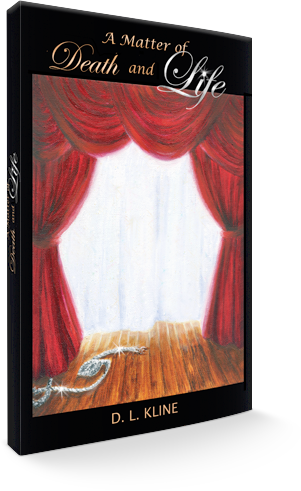 Slowly, his previous lives emerge, complete with detailed visions and valuable life lessons. Having unlocked his powerful psychic powers, this average family guy now channels the dead for his family and friends while communicating with his own unique spirit guides. 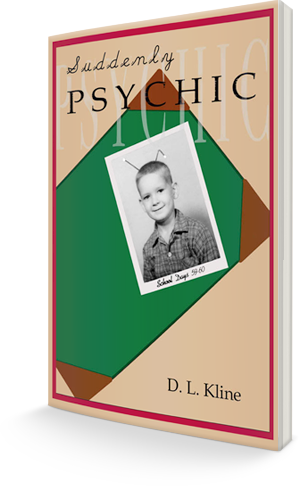 In Suddenly Psychic, Kline shares his entire amazing experience: visions of his past lives, his communications with the dead, insight offered by his spirit guides, and his enlightened views on organized religion. The result is an entertaining, comprehensive look at modern spirituality. Stuck-again. Sometimes you know why, clearly seeing the problem blocking your path. Other times you're chugging along uphill when suddenly, though the way ahead appears clear, you've stopped moving forward. So how do you keep your engine fueled and tuned and ensure your track is free of obstacles? 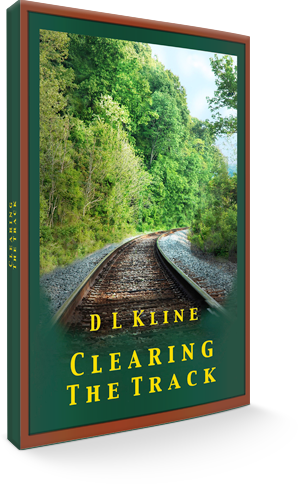 Clearing the Track invites you on a spiritual journey that will help shed your unnecessary baggage of fear, anger, and guilt, and show you how to replace all that negativity with self-love, self-forgiveness, and the unconditional and transformational love from the creator of the universe. Led by spirit guides from the other side, you will learn how to determine where you are, what holds you back, and the best ways to modify your thinking so that you can finally move forward - happy and unhindered. In Suddenly Psychic, he described the spiritual awakening that would change the course of his life. 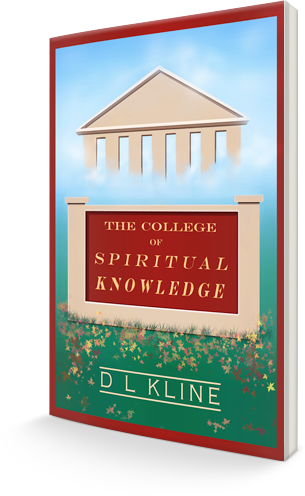 Now, in The College of Spiritual Knowledge, author D.L. Kline goes in-depth about the forces that have helped guide him along the way. With the assistance of his own spirit guides, Kline describes the purpose of guides in our lives - including who exactly they are, what roles they play, and the different ways they try to make contact with us. The result is a straightforward read that will answer every question you didn't know you had about reincarnation and spirit guides - including exercises for making contact with your own guides. D.L. Kline is a Pennsylvania-based author who lived a fairly ordinary life until an unexpected psychic reawakening at the age of sixty. Now he is writing a series of books about his spiritual journey to help others down their own paths. A Matter of Death and Life deals with a subject that touches all of us and the illusion of death—what really happens to us when our physical bodies cease to function and, more importantly, how we plan all our lives to make the most of our brief time on Earth. 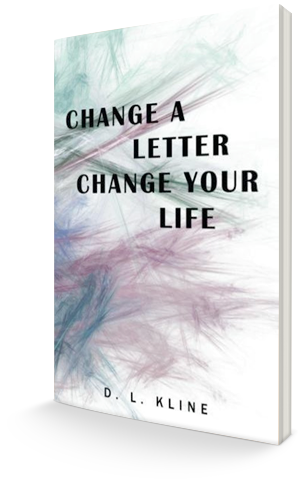 Change a Letter, Change Your Life is a new twist on interpreting the law of attraction, which states that whatever energy you put out is the energy you get back. By using the information provided in this book and making a few alterations in the way you think and act, you can turn your life from a constant state of lacking what you want and need to one of having it all. 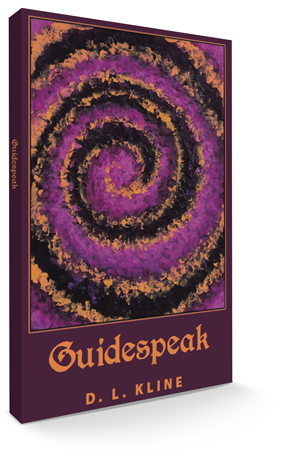 Guidespeak provides an all-access pass to the world of our soul guides. Even though they live only on the other side, they are with us from the day we are born until the day we transition back to where they are. Along the way, they are able to provide us with all of the help and support we need to successfully get through an earth life, no matter how messy it gets. This book will provide the reader with multiple ways to reconnect with their guides, and use the information they can provide.